Prices are good Wednesday through Monday of each week. Through CPS’ Green Shade Rebate program you can receive a $50 rebate per tree when you purchase a qualified tree and plant it in the right place to save on your energy bill. Beautiful dark green foliage. Sensuously perfumed flowers. Fabulously editable fruit. Your citrus will thrive in pot set out on your patio. Milberger’s offers the largest selection of turf grass sod available in South Central Texas. We stock nineteen varieties of sod, including the newest releases of turf grass that have been tested and judged reliable in our area. Very knowledgeable crew. The plants here are excellent, healthy, and taken care of. Highly recommend their vegetable Plants and Herbs. Crowds can be expected--customer service excellent--always a specialist available for questions regarding plant and tree issues. Best place ever to shop for plants!!! Halloween and Christmas are extra special times that have become family tradition!! Friendly service, clean place, Disneyland for plants lovers!!! 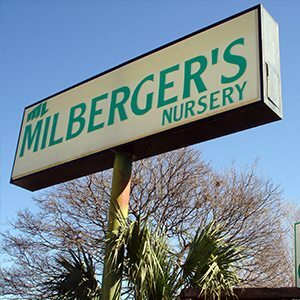 Milberger’s is my favorite nursery :) Great quality and great service. 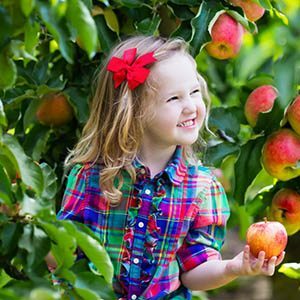 Our kid's corner will be a favorite stop your children who want to explore their green thumb. Milberger's offers all kinds of classes that are sure to please! CHECK OUT SOME GREAT PICS! We have plenty of things for you to see at Milberger's. 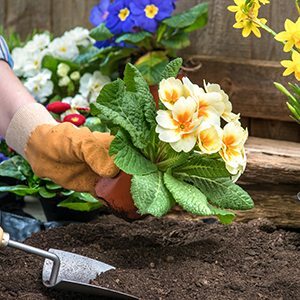 Take a look at around at some of the beautiful plants, trees and much more that can help beautify your garden. At Milberger's, we want to educate our customers so that they can have lawn and gardens that will flourish year-round. Take a few minutes and watch them here! We have great things to share with our customers. So sign up for our enewsletter today so you can stay posted on the lastest information, events and specials at Milberger's.